Weekly / monthly food subscription boxes what does everyone think of them? We subscribed to Hello Fresh a few years ago for a good 3 months but ended up cancelling our box because the portions were not big enough for us both and often we would have dinner around 7.30-8pm and get hungry around 11-11.30pm just before bed and we both ended up snacking on junk which isn't good before bed so I cancelled. You can see what I cooked up here. I have recently been sent a few different boxes to try and I want to share my thoughts with you all. So very quickly for those of you who are not familiar with how these boxes work - you basically choose your favourites from their weekly menu and decide how many meals you would like for however many people. Then they delivery those recipes to you with fresh ingredients. The boxes range from couple, vegetarian to family and either 3,4 or 5 meals a week. You are in control of the boxes so you can have them weekly, every other week, once a month so there is flexibility. When I was offered to try this *Fish For Thought food box I was very excited because it was seafood. This box is slightly different to what I mentioned above in that it's very minimal cooking which is even better for me during the weekday when I don't get home until gone 6pm. The seafood was super freshly delivered with no problems at all with the courrier or the packaging with it being seafood. 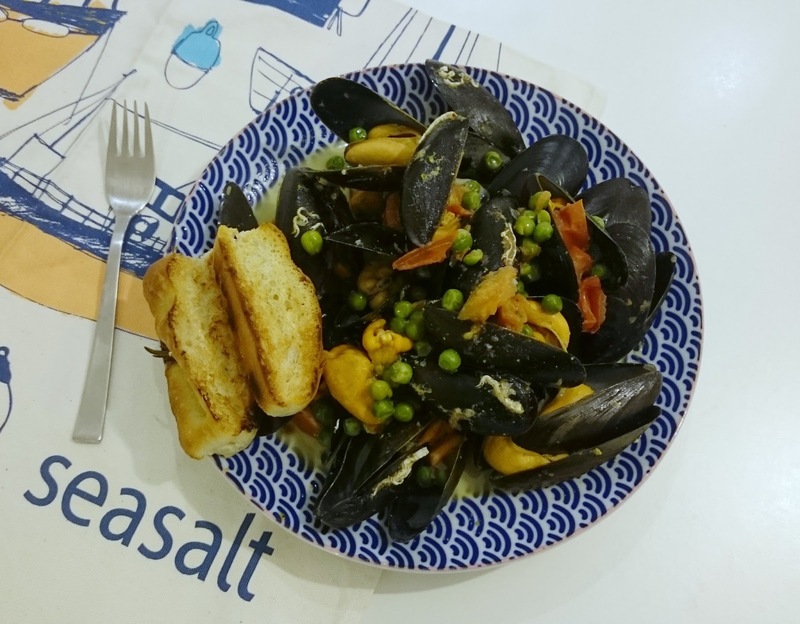 The box comes with all the ingredients for each of the meal and even the sauces so you literally just cook the mussels, throw in the sauce and thats the first meal done! 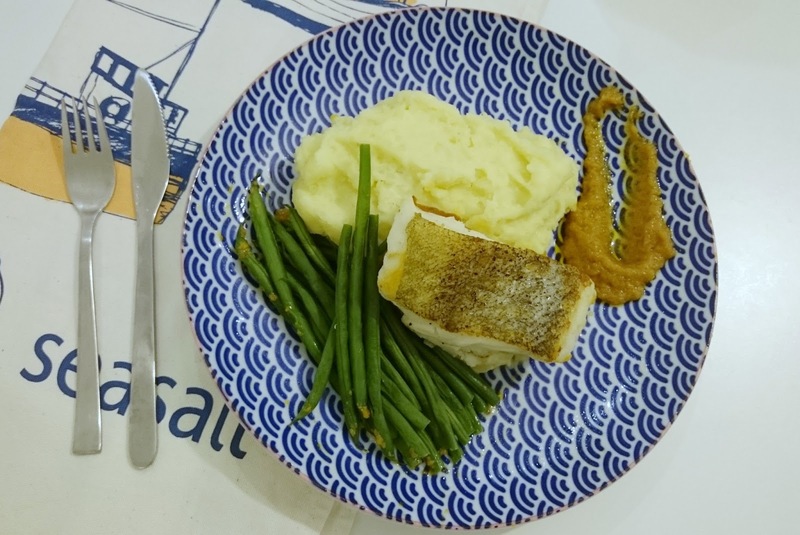 The meal below again fry the fish, mash potato, boil the beans and throw in the sauce - it's incredibly easy. The idea being it's like having restaurant quality seafood in your own home at fraction of the cost and it's delicious. Anyone can make these meals, perfect if you have guests and you don't want to spend all evening cooking but want something to impress. Having left HelloFresh for 3 years I recently logged into my account but didn't order anything then a few days later I received a card thought the post with a code for a free 5 day box for 2 people so I took up the offer straight away. 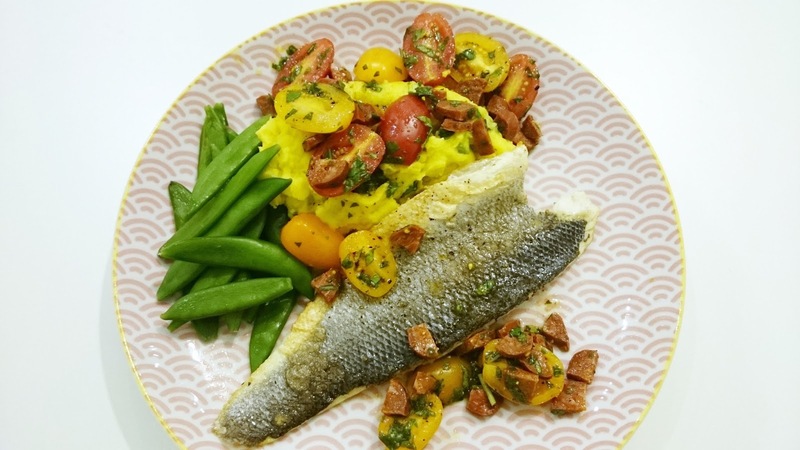 First meal below pan fried sea bass with chorizo tomato salad, sugar snap and saffron mash. Again the portions were small for us like before so we added in extra potato for the mash to bulk it up a bit. We are looking forward to cooking rest of the 4 meals this week. What's great about these boxes is hubby can cook so I can get on with other bits around the house. Last box is the *Gousto box which is HelloFresh's competitor and they work in the exact same with and there is not much difference in price either. 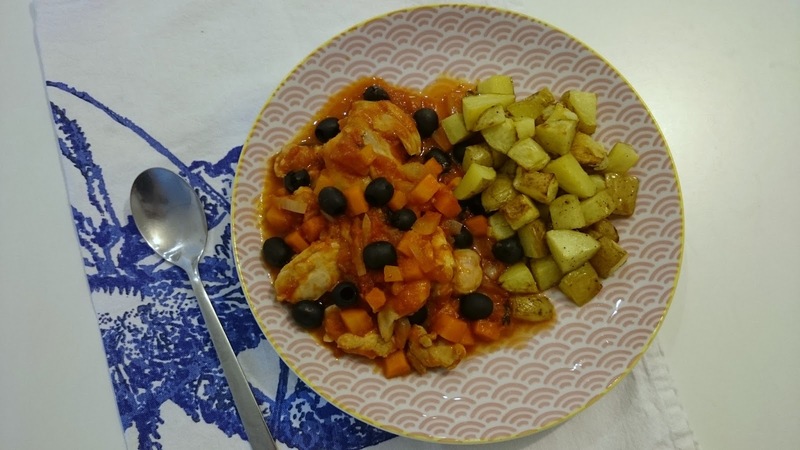 This meal is the chicken cacciatore with potatoes which was SO yummy we made it again at the weekend and froze 2 portions for my girl's dinner. 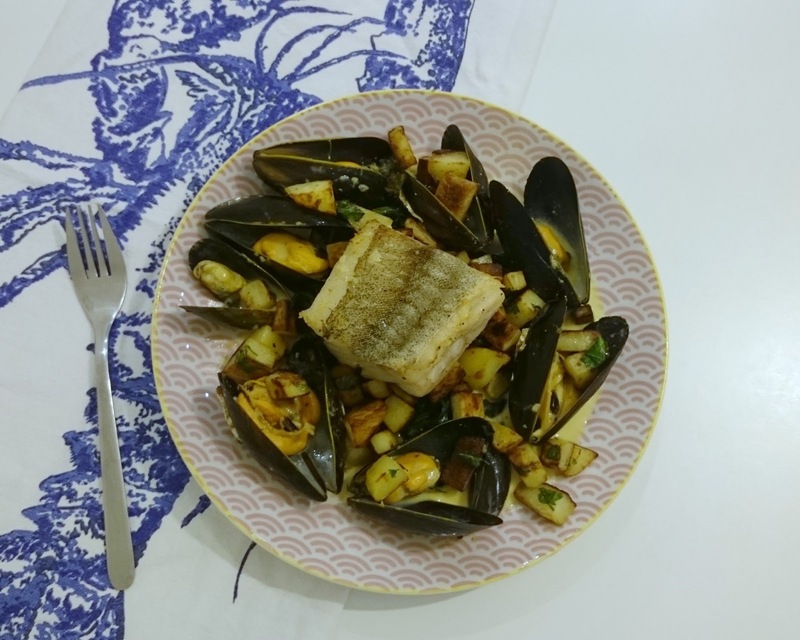 I would say the Fish For Thought boxes are great once a month or once every 2 months for some seafood treat of if you are cooking for guests. Weekly boxes or every other week it has to be either Gousto or HelloFresh. We will be starting up our subscriptions again end of the year when the little one starts nursery and I need to save time on food shop, thinking what to cook or organising food delivery etc... Have you tried any of these subscriptions boxes, which do you prefer and what do you think of them?